The Law Office of Michael Olewinski handles a range of criminal defense cases involving misdemeanor and felony matters. With years of experience representing and defending clients, you can be confident that attorney Michael Olewinski will handle your case with success. With a proven track record of success, Mr. Olewinski knows what it takes to make your case worth your fight. With prior experience as a prosecutor, Mr. Olewinski is able to keep in mind what to expect from the prosecutor's strategy. He will build your case around this knowledge, and he will examine thoroughly every facet in order to defend your case vigorously. 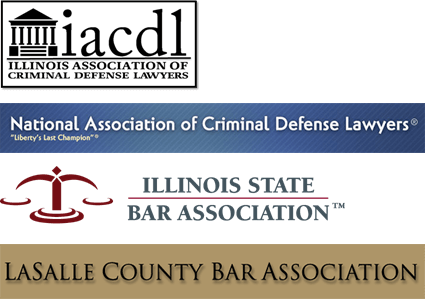 As a former prosecutor and public defender, Michael Olewinski has gained a vast amount of experience and perspective on how to best develop your criminal defense to keep you out of jail. If you want quality legal representation for your felony or misdemeanor charge, call the Law Office of Michael Olewinski today. Attorney Michael Olewinski will guide you through your case and present you with a thorough analysis on the strengths and weaknesses of the facts. His goal is to get the case dismissed, get a not guilty verdict, keep you out of jail or find an alternative solution that best works for you. Misdemeanors: A misdemeanor charge generally results in fines, alternative sentencing and/or possible jail time of less than a year. Felonies: A felony charge can result in fines, alternative sentencing and/or jail time of one year or more. You can be confident that attorney Michael Olewinski will provide you with sound legal advice. Mr. Olewinski will work with you from the beginning of your case until the end. He will provide you with zealous representation, and he is determined to help keep you out of jail. Looking for alternative sentencing programs such as treatment programs, diversion courts, community service, probation, work release, traffic school, etc. conveniently situated just a couple of blocks from the Grundy County Courthouse inside the Morris Building and Loan. Morris criminal defense lawyer Michael Olewinski offers great legal service, and he has successfully handled many criminal defense cases. With 20 years of experience, you can be confident that Mr. Olewinski will help you protect and defend your rights.